Accredited professionals are consistently sought out by organizations. Besides proving a commitment to a superior level of Infoblox expertise, accredited professionals provide tangible benefits that provide a real return on investment. Accredited professionals contribute to a significant reduction in the use of outside Infoblox system integration resources that translate into savings in the tens of thousands of dollars per year. According to industry experts, accredited professionals are approximately 20% more productive than their unaccredited peers. Accredited professionals typically handle 40% more support calls than their unaccredited peers. Organizations report 40% less system downtime when administrators are accredited according to industry analysts. Accredited administrators are more likely to provide a higher degree of controls required to maintain compliance. Most organizations report a payback period for their accredited professionals in 6 months. 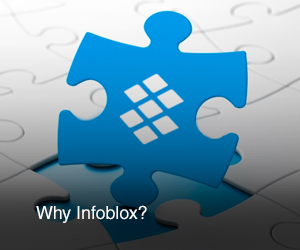 While accreditation provides the organization with benefits, professionals and partner organizations also benefit from and distinguish themselves with Infoblox Accreditation. Accredited professionals also report significant career advantages with higher pay and the ability to work on the most exciting and high profile projects. Have you finished your Infoblox course studies and ready to get your accreditation? Take your corresponding on-line accreditation exam. Register now!